the valuable and high quality aluminum foil baking cup for bakery, wholesale or supermarket etc. Today I would like to share with you how to distinguish superior and inferior aluminum foil cups. 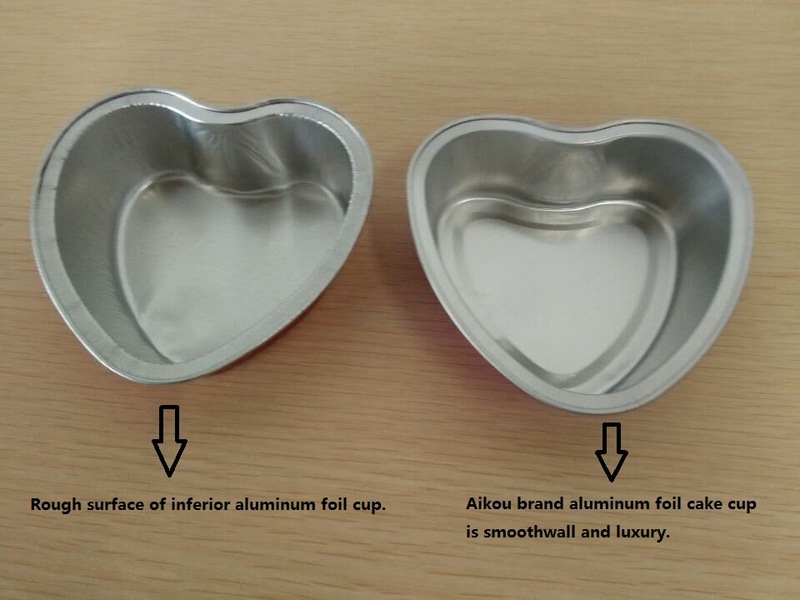 The surface of inferior quality aluminum foil cup is non-smoothwall and full of wrinkle. Even its round edge is very rough. The surface of our superior quality aluminum foil cup is smoothwall and wrinkle-free. Even our round edge of the foil cup is very exquisite. 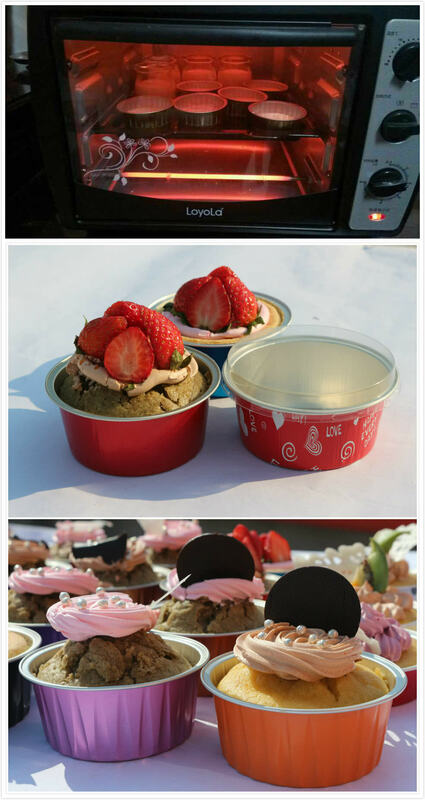 Low-grade aluminum foil cake cup is not safe for microwave and oven. The colors of cup will be fading and the cup will have smell during high temperature. It is harmful for our body. which will without any color fading and smell during high temperature. Low quality foil baking cup is not rigid enough for baking and takeaway, it is easy to be out of shape with thin thickness. Our high quality foil baking cup is suitable hardness for oven, and it is heat insulated for takeaway. Even it is non-stick with cake and dessert etc. The color of inferior foil cake cup is lusterless. 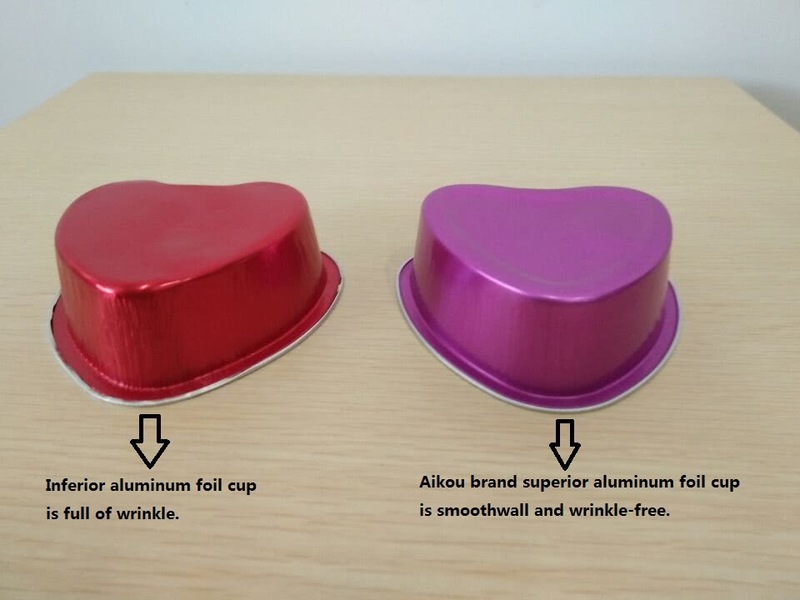 The color of Aikou brand foil cake cup is shiny and attractive. Do you have interest to know more details about our aluminum foil dessert cups? Please feel free to click our website or contact us directly.